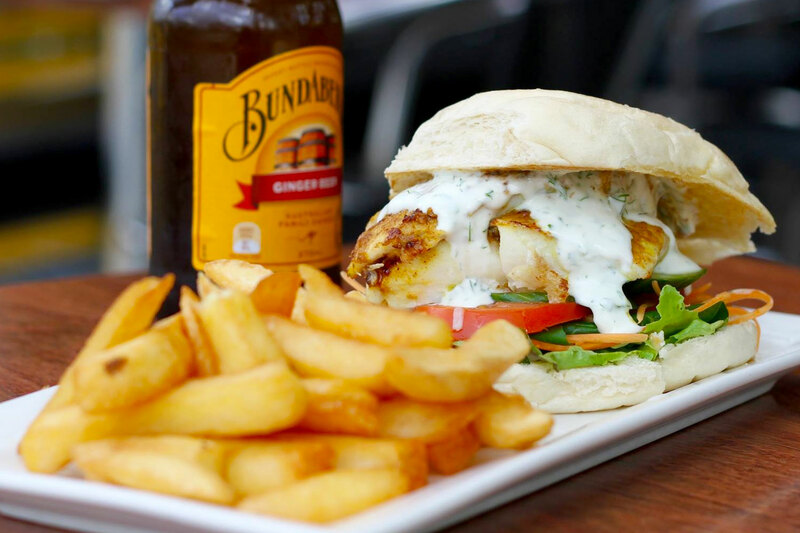 Nestled in their own little pocket of riverside bliss, Hawthorne and Bulimba have cinemas, parks, and some seriously good restaurants, cafes, and bars. And if you’ve been told there’s no good food here, just know that’s bull-imba. Mexi-can you handle how good the food is at La Quinta? Highlights include the lamb and goat’s cheese enchiladas, chunky beef chilli, and basically the whole list of Mexican-style tapas like street-style corn, jalapeño poppers, and crumbed feta. This Oxford Street staple has been around forever, and with its serious list of margaritas (there’s 9 options!) it’ll be around for a long time to come. Hawthorne residents lucked out when this East Brisbane institution relocated to just off Hawthorne Road. With options like wild wattleseed cod, grilled Thai octopus this fish shop is anything but basic, though they nail the classics. Whether you call it a scallop, fritter, or cake, their potato sides are amazing as well, and they never skimp on the chips. With some brag-worthy brews constantly rotating on tap, there’s an ice-cold ale for every beer-lover at this breezy spot. Hang out on the verandah with spanner crab tostadas and tempura zucchini flowers, or settle in for the night with a flame-grilled chicken burger on a charcoal bun or a serious charcuterie board. Non-beer drinks need not stress, with an on-trend wine selection and cool cocktail list- grab us a gin and rosewater spritz, with Botanic Australis gin, house-made rose syrup, and Jarret’s prosecco, topped with soda! Other than the cinemas and the citycat, it’s hard to think of anything more Hawthorne and Bulimba than Sugo Mi! If pizza gets you excited, Sugo Mi’s traditional Italian menu will have you jumping up and down in glee. From the Gamberoni with garlic prawns, mozzarella, bocconcini, parsley and optional (but highly suggested) chilli, to the super-classic Al Tartufo, with field mushrooms, mozzarella, crisp prosciutto, and truffle oil, this place is serious about their pies. If you, somehow, still have room after dinner, duck back to the Sugo Mi Gelateria around the back for a one-two dinner and dessert combo that’ll take you right back to Milan. This minimal spot overlooking the AFL park is a suburban favourite, serving up great coffee, sweets, and a succinct but tasty menu. Taking their coffee seriously, choose from a specially devised blend, a rotating single origin, and a rotating filter option. And psst… they’re open public holidays! Four words: order the Dragon Roll. This spot at the top of Oxford Street serves up fresh and flavoursome sushi, donburi, and classic Japanese sides like takoyaki (lava balls), gyoza, and agedashi tofu. For those looking for more substantial meals, there’s a range of curries, yakisoba, udon, and bento boxes to get stuck into. It might look unassuming, but trust us, it’s sushi-riously good.